The biggest leagues across the globe are drawing towards the end, and for some leagues it will also be the end of the Ordem match ball. 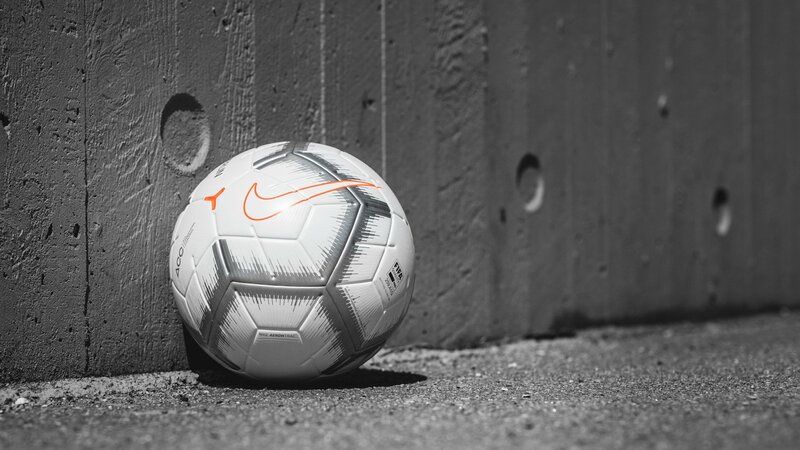 Nike has pulled one of the most classic balls out of the hat, the classic Nike Geo Merlin football, and redesigned it for the modern game of football. Many football players are like wizards, having the ball at their feet while doing the most unpredictable things. Other players just put the ball exactly where they want it when they want it. It’s like magic, which is polished and formed through many years of training and creativity. The Nike Merlin is all about giving the best possible touch and control in all weather and pitch condition. This means no more driving winds, soaking rains and hostile field condition that creates chaos, and diminishing the most sublime skills. The Nike Merlin match ball for the 2018/19 season has all the most advanced designs, materials and construction incorporated. As something new the Merlin will include the All Conditions Control (ACC) which is the first football ever to have this technology. Basically this ball is a tech-monster, and you can see and feel that Nike has used a lot of time and thoughts to make just the right football for some of the best leagues in the world. Let’s take a look at the ball surface as the first thing. Nike has created a larger striking surface by reducing the panel construction. Normally a ball is made with a 12-panel construction, and the new Merlin football is made created with a 4-panel construction, meaning that the number of seams is reduced by impressive 40%. This helps with eliminating hard spots on the ball and this opens up the ball creating a better sweet spot. The bladder is also totally new and is going away from traditions. Normally we see bladders made from rubber, but the new Merlin has a bladder made from latex. This will help with achieving a more consistent air pressure, while also keeping the shape. Furthermore, debossed grooves and 3D inks are placed on the ball, which rises the texture of the ball on certain placed and this allows for a better boot-to-ball interaction. The Nike Merlin is going to be use in Premier League, La Liga and Serie A, and hopefully we are going to see them in some wicked colours, as previously seen on the Ordem. One thing that emphasizes that we are going to see some nice colours is that Nike is going to use secondary and tertiary colours. The colours is made to catch the players’ eyes so they can identify, the spin, speed and trajectory quicker. Some nice stuff you got there Nike! 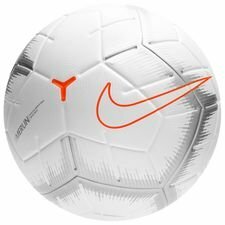 You can already now get your Nike Merlin football right here on unisportstore.com!